Dear friends of Garabandal and visitors to this web site please feel free to place your requests for special intentions on this page so that all who come here, can pray with you during your time of need. We ask all, not leave Garabandal News without taking a moment of your time to pray for and with all those who ask. Just a quick update. Today the Specialist ruled out any attempts at treatment.He also has given a time frame of 1-3 months. So thank you for your prayers, I will be counting on them when I am gone also. Dear brothers and sisters, please pray for me and my family as this is the darkest moment in my life. I’m aware Christ requests us to carry our cross but I just feel this is very heavy and I need help. I will pray for all your intentions as well. Let’s pray for all the souls of the massacred in Sri Lanka, that they may rest in the peace of Christ. May God and Our Blessed Mother give strength and comfort to all the injured and to the families and friends of all affected. God have mercy on them all. Dear Gabriel, as an ordained deacon for 32 years, I suggest you follow your heart. I went through the same thing before being accepted for formation. I felt called by Our Lady of Mount Carmel De Garabandal to serve God. At 82 yrs. old, I’m still serving and happy to be able to. If it is God’s will, May Mother Mary grant you the grace to serve as a deacon. Gabriel, I can see your dilemma. I will include you in my prayers to the Holy Spirit. Please pray for a miraculous healing for Omar Morales Europa who has knees with serious osteo-arthritis and the condition is impeding his ability to work and have a full family life. Pray also for the healing of my entire family and extended family so that we live our lives giving all glory to God! Hi Esmeralda, I will pray especially for Omar when I am with Our Lord this morning during Holy Communion and also commend your entire family to Him. I will pray for your intentions, Esmeralda. Let’s remember to keep each other, and “especially those most in need of His mercy” and ” who do not believe, love, adore and hope” in our prayers. Let’s rededicate our small self-denials this lent towards the triumph of Our Lady’s heart. Thank you for your prayers. Could I please ask for your continued prayers for Peter in his battle with alcohol. Please,God,do not leave him much longer a prisoner of this demon and give him and us the Graces to endure it. Amen. Concerned. You and your son are in my prayers. Your son will need to go to rehab, forcefully if needed.”You need to be cruel, in order to be kind”. Thank you, Pepe. Your prayers mean a lot because you have been through it yourself. We are investigating all treatment options for him at present, while restricting access to money as a temporary prevention. Please continue to keep us in your prayers, as we will keep you. Please receive my heartfelt thanks for your prayers for our foster sons. 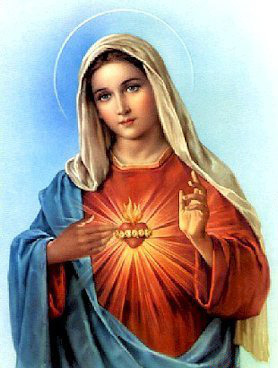 Thank you, Pete, for the beautiful prayer to the Immaculate Heart of Mary together with our prayer requests. I pray for each of you. Good idea Pete, thank you. Mac please try medical mushrooms! Paul Stamets cured his own mother from stage 4 breast cancer with Turkey Tail mushroom extract. Paul has a youtube channel. I think he lives in Texas now. If you can orchestra for your son to be admitted to a clinic, he will be assessed for his mental health status. He may have a condition where alcoholism is a symptom of his illness. I have lived with addiction for most of my life. When I was unwell I admitted myself to a clinic. After an initial extended false start I was eventually diagnosed with Obsessive Compulsive Disorder (OCD) where obsessional thinking was my main issue. This condition is a form of anxiety gone out of control. I was treated for Major Depression (as OCD falls under this spectrum) and given Zoloft medication. This has changed my life in a very great positive way. I thank God I found a treatment that worked for me. 25 years and going strong. I hope your son can find treatment that will work for him. My prayers are with you. I really appreciate you giving me the benefit of your own experience. I think there is a definite genetic component in his case and so there may well be some chemical imbalance, as you state. We will not give up, and will try all options until he can live free from this affliction – or live with it in God’s Grace. Thank you, Pepe, my brother in Christ, for caring enough to reply.